All of our content for Cave Story+ can be found in one convenient location: the Cave Story+ Game Hub. Screens, videos, and articles will appear there! Nicalis has just announced via Twitter that Cave Story+ for the Nintendo Switch will be getting a local co-op mode added in via a free update later in the summer. The game is scheduled to release on June 20, 2017. No word on if any other changes will be made to support this addition (i.e. more enemies, different level designs, etc.). For those that already own this game, will this be a big enough incentive to double dip? 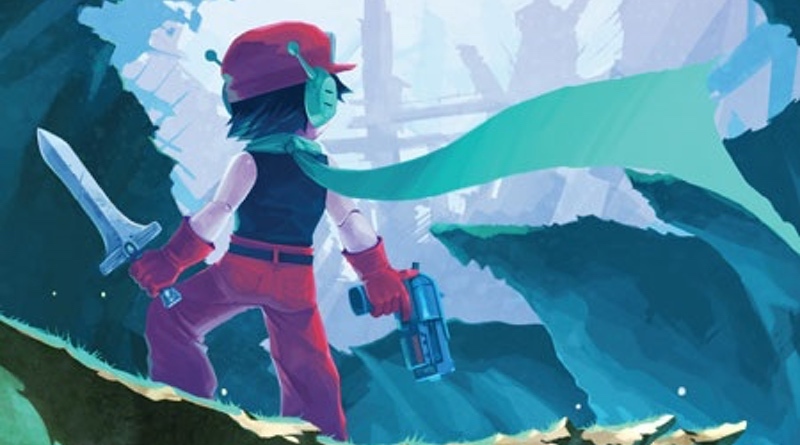 Cave Story isn’t a cutting edge brand new game for the Nintendo Switch, but it’s one that has gotten a lot of love over the past few years. It’s appeared on many platforms, including the Wii and 3DS, and it still resonates with many who play it. The 2D sprites and 8-bit stylized graphics are a perfect fit for a Nintendo system, and with the Switch’s ability to be played on the go and on the TV, it should be more convenient than ever before to enjoy a session of exploration in Cave Story+ from Nicalis. The game has an official release date of June 20, 2017 and will retail for $29.99. The physical edition will come with a keychain in a blind box (you could get Quote, Curly, or Balrog) if you preorder at GameStop. Arguably the most well-known indie game of all time, Cave Story+ features a completely original storyline wrapped with personality, mystery, and hours of fast-paced fun. Cave Story+ is an action-adventure game from the critically acclaimed independent designer, Daisuke Amaya–or Pixel to his fans. Overflowing with unmatched charm and character, Cave Story+ takes you into a rare world where a curious race of innocent rabbit-like creatures, called Mimigas, run free. Run, jump, shoot, fly, and explore your way through a massive action-adventure reminiscent of classic 8- and 16-bit games. Take control and learn the origins of this world’s power, stop the delusional villain and save the Mimiga! Game publisher and developer Nicalis, Inc. today announces the definitive version of the 2D action game Cave Story+, coming to Nintendo Switch on June 20th, 2017, both at retail and digitally via the Nintendo eShop. Like The Binding of Isaac: Afterbirth+ (also developed and published by Nicalis, Inc.), Cave Story+ on Nintendo Switch represents the definitive version with new challenges, gameplay options and enhancements. Switch players can also look forward to more levels and additional subtle graphic improvements, future free content updates as well as a few bonuses that are yet to be revealed. With its striking blend of platforming action, shooting and exploration, Cave Story+ offers plenty of “twitch” for the Switch. But storytelling is a huge contributing factor to its international success. Through a series of brief and often emotional conversations with various characters, players gradually learn the tragic history of the game’s cast as well as its amnesiac adventurer, whose athletic ability and weapon skills are much more advanced than his appearance would suggest. Developed and published by Nicalis, Inc., Cave Story+ will release on Nintendo Switch on June 20. Pricing is set at $29.99. Nicalis, Inc. is also the developer and publisher of the definitive roguelike The Binding of Isaac: Afterbirth+ and publisher of the hyperspeed racing game Redout on Nintendo Switch. All three games will be available in physical form at retail and digitally via the Nintendo eShop in 2017.